1. POPLAR GROVE RESERVE $26: Group Rank 5. 63% Osoyoos & 37% Naramata estate fruit harvested October 5 whole cluster into fully oaked Burgundian barrels aged on lees for 10 months producing 275 cases at 13.3. Open big apple stylish aromas plus vanilla with solid full rich creamy rather softer flavours. Expressive. 2. LITTLE FARM PIED DE CUVE $31: Group Rank 10. Only one from Similkameen Valley organically farmed Mulberry Tree Vineyard early harvested August 29-September 3, unfined & unfiltered at 12.5 alcohol. Left a bucket of foot crushed grapes fermenting for a week in the vineyard with native yeasts before the main harvest began. Older neutral French oak on the lees for about 10 months. Showed lots of sweet applesauce on the nose with a dramatically different big lees unique style not fully appreciated by this group. 3. TINHORN CREEK OLDFIELD RESERVE $35: Group Rank 6. Harvested September 24 from younger 6 year old vines from Golden Mile Bench on sandy gravel soil at 13.5. Natural ferment in French oak with 1/3 each of new, second fill, & neutral with longest time of 17 months for 286 cases. Liked the vibrant citrus and varietal character with good balance. Well done. 4. LIQUIDITY RESERVE: Group Rank 7. Expensive now as the winner of Chardonnay du Monde 2018 with only 152 cases made at 13.5 from 3.5 short tons per acre off 22 year old Allendale property in Okanagan Falls harvested late September. Intense closed in nose but has lovely stone fruit with pineapple finishing with some length. 5. LA FRENZ RESERVE $25+: Group Rank 3. Best blocks from Freedom 75 Vineyard (fine sandy loam + clay) on the Naramata Bench fermented 80% French oak (25% new) & 20% cement eggs at 13.3. Interesting cloves with spice notes but some bathroom-like talc powder too. Unclean bottle or glass? Unusual. Neighbour’s glass at another table from a different bottle shows much cleaner and the group overall liked it. 6. PAINTED ROCK $30+: Group Rank 8. Three micro-harvests Of Estate grown fruit over 3 weeks gives special attention to detail in capturing it at best balanced ripeness. Opened nicely as it warmed and aired showing richness with some minerals though highest alcohol comes through on the finish at 14.8. Likeable. 7. CEDARCREEK PLATINUM BLOCK 5 $35: Group Rank 4 (#1 for your scribe). Home vineyard block 5 uses French oak barriques & puncheons for 10 months for 378 cases at 13.7. This has multi-dimension fruit complexity on both the nose and the palate with intriguing minerals. The structure is tremendous with outstanding lift & vibrancy from their distinct natural higher yet balanced acidity. No rush to enjoy. This will make a great bottle for a $35 steal! Congrats. 8. NK’MIP CELLARS QWAM QWMT $30: Group Rank 2. Early harvest September 9 start but finish on October 4 with whole cluster pressed into French oak (38% new) for ferment. Big open sweet pineapple candy in a good way. Very tropical butterscotch chardonnay. Perhaps a bit obvious and softer rather than subtle but still attractive. 9. MEYER FAMILY McLEAN CREEK ROAD VINEYARD $33: Group Rank 9. Planted in 1994 in Okanagan Falls on alluvial glacial soils with gravel & sandy loams with 2 different facing slopes. Use French oak 18% new and 11 months sur lees without stirring. One of BC’s very best premium producers of chardonnay (and pinot noir) but unfortunately hit by an off bottle here. Dank and cellar aromas with a “filter paper” taste disappoint. Tried another bottle that was more typical and showed the wine deserves to be in the first ranked grouping. Tough atypical result from bottle variation. 10. QUAILS’ GATE ROSEMARY’S BLOCK $45: Group Rank 1 (#2 for your scribe). 340+ cases of this whole cluster pressed old + new French oak fermented 11 months regular stirring (battonage) of lees full malo at 13.5. Also make their Stewart Family Reserve of both Chardonnay & Pinot Noir that are worthy to collect. Banana notes on the aromas here but also peaches, other stone fruits, with toasted nuts. Impressive rich buttery statement yet refined and elegant too. Very good indeed. 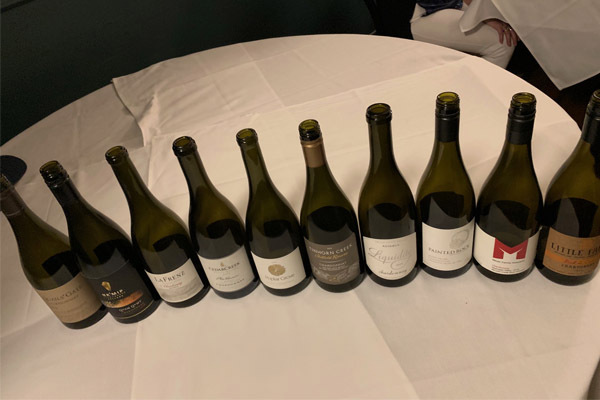 An excellent showing by top BC 2016 chardonnay all from the Okanagan except for a differently styled one from Similkameen. Prices here ranged from $30 to $50 Canadian representing very fair value in the world market. 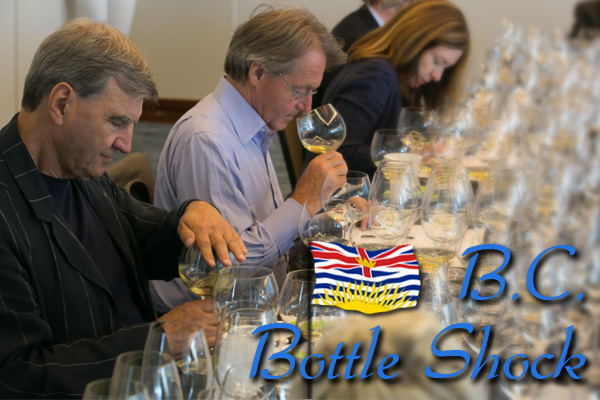 Recommend checking out the many new chardonnay examples from BC. Have you tried any? Your thoughts? 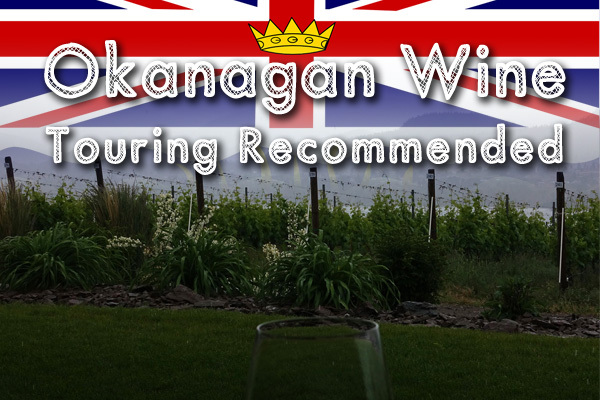 Have you tried any chardonnay from Okanagan?